Location, Location, Location. This is the first thing that every book on becoming an innkeeper discusses. When you are looking at opening a bed and breakfast they always say location is key. 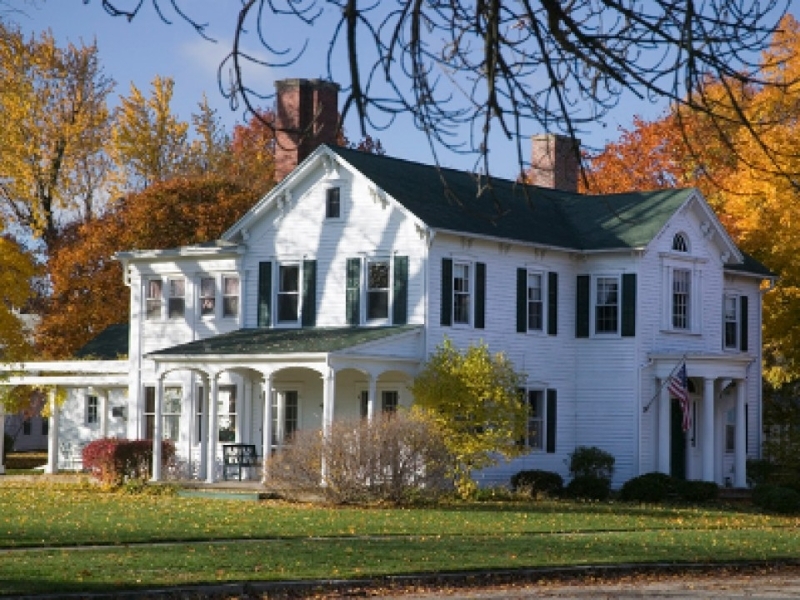 Whether you are located in an obvious tourist destination or are located in a college town, having built in clientele is usually key to making a bed and breakfast work. Well, what’s the old adage? Rules are made to be broken? Apparently Jeff and I either like breaking rules or we we don’t like to follow instructions well. From an outside perspective one would look at Sheffield, IL as a location for a bed and breakfast and think “Are You Nuts?? 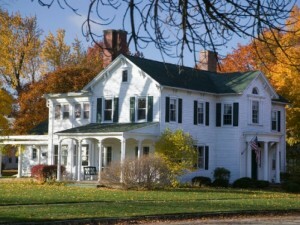 ?” A fair question to be sure, but there was sound reasoning behind our decision to buy this particular bed and breakfast, and after almost 10 years in business, I think our reasoning has proven to be successful. When we started looking at purchasing a bed and breakfast, we actually had no preconceived notions as to what state we would like to end up in. For us it was all about budget and getting the handful of criteria we needed to make our business plan work, namely, to operate an inn in the true sense of the word, where we would also offer meals to those not staying with us. We wanted somewhere in an area that was not overly saturated with restaurants, something within a 2 hour radius of a major metropolitan area, something with easy access to a highway, something with at least 4 bedrooms and most of all, the property had to have adequate space for dining, which was perhaps the hardest thing to find. Most old homes have one formal dining room and little to no other space for expansion of food service. So after looking at hundreds of properties all over the US, our hunt led us to basically 5 options. One was in Galveston, TX, which while an obvious tourist destination, was also a perfect bulls eye for hurricanes. So that one quickly came off the list. We looked at one in KY that was perfect except it would have required a total gut and remodel as the decor was, well, it was God awful. A sea of mismatching plaids of every color and furniture that looked like they took the branches from a bunch of downed trees after a storm and put them together to form furniture. Let’s just say, it wasn’t to our taste. Eliminated that one right away too. There was one in Tennessee that was an existing restaurant with rooms above that could have been converted into a bed and breakfast, but because I wanted to do my own menu, it didn’t seem right for me to go into an existing restaurant and fire the chef. Nope, that wouldn’t do. Then there was the property we looked at in Canada on Lake Superior, which was perfect, but the island it was on was uninhabitable at least 3 months a year. What do you do for 3 months?? Finally, we found this one. It ticked all the “musts” even if it wasn’t exactly in an obvious tourist destination, so we decided to make a go of it. It helped that the previous owner already had a track record of some business and a built in clientele (she ran it for 8 years). But we knew it would require some clever marketing on our part to really expand the business and to make it a viable income for both of us. Branding was key and promoting ourselves as a culinary inn, a destination for foodies, was our plan. While we are always looking at new means of promotion and marketing, this branding has worked. If it wasn’t for the fact that we do dinners and that most people are coming here to dine with us, I think our occupancy would be much lower. So the rooms feed the restaurant and the restaurant feeds the rooms. A very symbiotic relationship. But the food isn’t the only thing. There are actually a ton of reasons to come to this area, reasons that locals who live here don’t even seem to know about or to consider. When you are off the beaten path so to speak, it’s up to you to feed the information to potential guests as to what there may be for them to do. We consciously researched the things people may want to come to this area for and put it all together on our website under our Things To Do page. Everything from wineries like August Hill and Lavender Crest to shopping/antiquing in Princeton to hiking/biking along the Hennepin Canal, Mautino Fish and Wildlife Preserve and at Starved Rock to Festival 56 and November 10 theater festivals in Princeton to historical sites in Bishop Hill, Sheffield and Princeton to an abundance of affordable golf courses. There is more than enough to occupy people for a couple of days no matter what your interest is. Although perhaps my favorite thing on the list is Absolutely Nothing. That’s right. There is no reason that you have to have every minute of every day occupied with an activity. Sometimes there is great value to just decompressing and relaxing. I know for myself, having nothing to do is a luxury. I never get to just sit and read a book, watch a movie or sit out on the patio with a glass of wine. I’m always going going going. So when I go away, my only focus is to relax and rejuvenate. We liked this property because there are numerous spaces to do just that. The home was historic and elegant without feeling precious. The couches and chairs in the parlor are a favorite of our guests for curling up to read and our video/DVD library of over 1100 titles offers plenty of entertainment. In the summer guests enjoy sitting on the patio and enjoying the beautiful weather and in the winter, they enjoy the toasty crackling of the fireplace while watching the snowfall outside. These peaceful moments are what I think are the most enjoyable and the thing we treasure the most. And one final note on location. We are in a tiny town of 950 people in a rural area surrounded by farm land. From the perspective of natural beauty, there is something to be said for these wide open spaces. The sunsets, sunrises and the nature. Right about now, the leaves are beginning to turn and the landscape becomes spectacular. This is something we never had in CA and something we have come to truly love about living here.